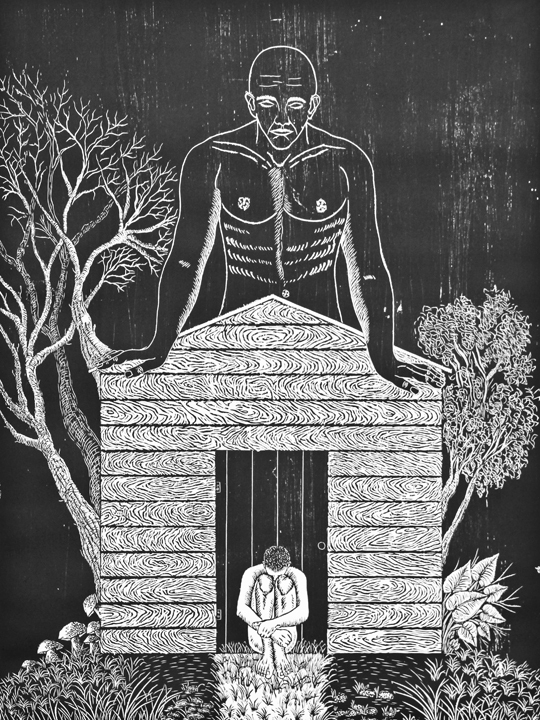 Oct. 21 from 2-3 p.m.
Mr. Garcia is an artist, printmaker, and curator. Born in Cienfuegos, he is a graduate from the Instituto Superior de Arte (ISA). His woodcuts have a theatrical feel accentuated by the tension that is generated by the use of profound black backgrounds that submerge the viewer in the tunnel of infinite agony. Within his work, we recognize the metaphors of our own phantoms. In 2012, Aliosky was an artist in residence at the Bartels-Zum Kleinen Markgrafkerhof Foundation in Basel Switzerland. He also curated the exhibition, Grabado en la MemorÃ­a (Etched in our Memory), which included artworks from graduates of the ISA. Alioskyâ€™s work can be found at Stanford University, the Yale University library, and the Fine Arts Museum in Havana, among other permanent collections. Mr. Garciaâ€™s artwork was included in “A Misunderstanding/ Un malentendido,” a group exhibition that was held at the Santa Fe College Gallery this past summer of eleven Cuban artists living on the island and one invited Cuban-American artist. For more information, please contact Raul Villarreal at raul.villarreal@sfcollege.edu.